Original Acer Iconia A1-810 DC-Port zum Einbauen. Acer Iconia A1-810, A1-811. Acer P/N: 55. It is Acer genuine original part. Original Acer Iconia A1-810 Display Module - LCD with touch and LCD bezel ( Display mit Touchscreen als eine Einheit). A kit ready to install like on photos. Acer Iconia A1-810, A1-811. Acer P/N: 6M. Features High quality,best choice for computer Condition: New Brand: FOR Acer Compatibility: For Acer Iconia A1-810, A1-811. Schwarze Touchscreen-Handschuhe f&uumlr Smartphone und Tablet. Die Touchscreen-Handschuhe sind f&uumlr alle Ger&aumlte mit kapazitivem Display geeignet. Omniblend Hochleistungsmixer. Farbe: schwarz. 3M & BRAUN Produkte. Rote Touchscreen-Handschuhe f&uumlr Smartphone und Tablet. Die Touchscreen-Handschuhe sind f&uumlr alle Ger&aumlte mit kapazitivem Display geeignet. Damit kann das Smartphone punktgenau bedient werden. Graue Touchscreen-Handschuhe f&uumlr Smartphone und Tablet. Die Touchscreen-Handschuhe sind f&uumlr alle Ger&aumlte mit kapazitivem Display geeignet. Omniblend Hochleistungsmixer. Material: 50 % Wolle. Die geniale Erweiterung f&uumlr Ihr Handy / PDA / Mp3-Player etc. mit Micro-USB Ladebuchse. LED Ladekontroll-Anzeige und Taschenlampen-Funktion. F&uumlr eine Vielzahl von aufladbaren Ger&aumlten mit Micro-USB-Buchse geeignet. Stereo-Headset für Handys und Smartphones mit 3,5-mm-Klinkenanschluss. InEar Kopfhörer mit Rufannahmeknopf und Freisprecheinrichtung (Mikrofon). Gute Sprach- und Klangqualität für Gespräche und Musikwiedergabe. Stylisches Design mit Flachbandkabel. Farbe: schwarz. Gesamtlänge: ca. 158cm. Bedienungshinweis: 2x Taste drücken = Vorwärts / 1x Taste drücken = Pause/Play / Lange drücken = Sprachsteuerung (wird nicht von allen Geräten unterstützt). HDMI-Stecker auf 19pol. micro HDMI-Stecker. HDMI bietet bedeutende Vorteile gegenüber analogen A/V Anschlüssen, inklusive der Fähigkeit, unkomprimierte digitale Video- und Audio Inhalte zu übertragen. Akku für Acer. Acer Predator 8 (GT-810)ersetzt folgende Original Akkus Acer Iconia Tab A1-850, Iconia Tab B1-810, Iconia Tab B1-820, Iconia Tab W1-810. Kein Originalprodukt - hochwertige Zubehörware - aus dem Hause vhbw.Technische Daten. Kapazität 5340mAh. AC13F3L, AC13F8L. kein Originalprodukt - Qualitätsware - aus dem Hause vhbw. Dein Service bei vhbw-online. Akku für ACER. W4-820Persetzt folgende Akkutypen Akku für Swissvoice DP500 Eco Plus, DP550 BT GP1010 GPHC05RN01 GP HC05RN01EUR 12,99. Kapazität 5340mAh. AC13F3L, AC13F8L. Akku für ACER. W4-820Persetzt folgende Akkutypen Spannung: 3.7V. Qualitätsprodukt mit Überladeschutz, TemperaturschutzTechnische Daten Acer Iconia Tab A1-A810 Tablet. Compatible Model Acer Iconia Tab A1-810 811 version B080XAT01.1. Model Acer Iconia Tab A1-810 811 version B080XAT01.1. Hohe Empfindlichkeit Touch Screen Digitizer LCD Bildschirm Display ist im Preis inbegriffen. Hohe Empfindlichkeit Touch Screen Digitizer LCD Bildschirm Display ist im Preis inbegriffen. Unten finden Sie eine automatische Übersetzung ins Deutsche. 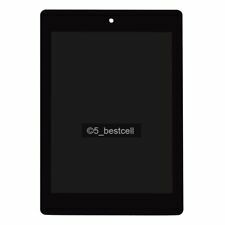 Acer Iconia Tab A1-810 A1-811 voll LCD Display Touch Screen Glas Digitizer. Hohe Empfindlichkeit Touch Screen Digitizer LCD Bildschirm Display ist im Preis inbegriffen. Kompatibel mit Acer Iconia A1 A1-810. Touch Screen Digitizer. Unten finden Sie eine automatische Übersetzung ins Deutsche. 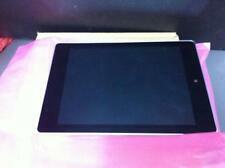 7.9 "Acer Iconia A1-810-L416 16 GB Touch Digitizer Glas und Lcd-Screen-Tablette. Kompatibel mitAcer Iconia A1-810-L416. Hohe Empfindlichkeit Touch Screen Digitizer LCD Bildschirm Display ist im Preis inbegriffen. Kapazität 5340mAh. AC13F3L, AC13F8L. Akku für ACER. W4-820Persetzt folgende Akkutypen Acer Iconia Tab A1-A810 Tablet. Spannung: 3.7V. Qualitätsprodukt mit Überladeschutz, TemperaturschutzTechnische Daten. Kapazität 5340mAh. AC13F3L, AC13F8L. Akku für ACER. W4-820Persetzt folgende Akkutypen Acer Iconia Tab A1-A810 Tablet. Qualitätsprodukt mit Überladeschutz, TemperaturschutzTechnische Daten kein Originalprodukt - Qualitätsware - aus dem Hause vhbw. Kapazität 5340mAh. AC13F3L, AC13F8L. Akku für ACER. W4-820Persetzt folgende Akkutypen Qualitätsprodukt mit Überladeschutz, TemperaturschutzTechnische Daten Acer Iconia Tab A1-A810 Tablet. kein Originalprodukt - Qualitätsware - aus dem Hause vhbw. Original Acer Iconia A1-810 DC Port Micro USB. A kit ready to install like on photo. Acer Iconia A1-810, A1-811. Acer P/N: 55. It is Acer genuine original part. Acer Iconia Tab A1 A1-810. LCD Didplay Touch digitizer Assembly x 1. Computer tablet. It is used to repair faulty screen, display problems, dead pixels, cracked LCD screens, wrong color etc. Add to Favourites. 10.1" LCD Display Screen Parts Tools New Acer iconia one 10 B3-A40-K7JP A7001. 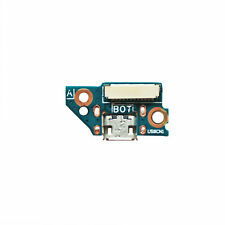 For Motorola Moto C Plus LCD Screen Display WIth Touch Glass Digitizer Assembly. For Samsung Galaxy Tab A 7.0 SM-T280 LCD Display Touch Screen Digitizer Tools. Acer Iconia Tab A1-810 Touchscreen LCD Module 7.85XGA.GL, ACER LCD Module A1-810 7.85 Touch With Wifi W/ Middle Cover 6M. 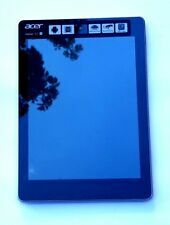 Acer Iconia Tab A1-810 Touchscreen LCD Module 7.85XGA.GL, P/N: 6M. New in open MFG box, see pictures, what you see is what you'll get. Acer Iconia A1-810 7.9" Genuine Tablet Wireless WiFi Antenna 48. EL127.4GA ER . Actual item pictured. Compatible with the battery part numbers:AC13F3L. Fit to the device models:Acer A1-A810, Iconia Tab A1, Iconia Tab A1-810, W4-820P. AC13F3L, AC13F8L (1ICP5/60/80-2). New AC13F3L Genuine Original Acer Iconia Tab A1 A1-810 Tablet 3.75VDC 4960mAh Li-ion Battery. Acer Iconia Tab A1-A810 Tablet. Battery type :Li-ion. We provide 12 months long warranty. 1X EZguardz Acer Iconia A1-810 Screen Protector 1X. EZguardz are Thin and Clear. You Receive (1) EZguardz Protectors With Full Instructions. Using a Credit Card push out air bubbles and press the protector onto your phone. 2X EZguardz Acer Iconia A1-810 Screen Protector 2X. EZguardz are Thin and Clear. You Receive (2) EZguardz Protectors With Full Instructions. Using a Credit Card push out air bubbles and press the protector onto your phone. (4)Compatible Model: Acer Iconia Tab A1 A1-810. (1)1x Touch Screen Digitizer. Tools 3M Tape. (5)1x 3M Tape. (3) Precision cut for perfect fit. (5)Color: Black. We maintain high standards of excellence. Compatible with the battery part numbers:AC13F3L. Fit to the device models:Acer A1-A810, Iconia Tab A1, Iconia Tab A1-810. RoHS Approved for toxic free. Compatible with the battery part numbers:AC13F3L. Fit to the device models:Acer A1-A810, Iconia Tab A1, Iconia Tab A1-810. Compatible with the battery part numbers:AC13F8L, AC13F8L(1ICP5/60/80-2), KT0020G002. Fit to the device models:Acer Iconia A1-810 7.9", Iconia W4, Iconia W4-820. Compatible with the battery part numbers:AC13F8L, AC13F8L(1ICP5/60/80-2), KT0020G002. Fit to the device models:Acer Iconia A1-810 7.9", Iconia W4, Iconia W4-820. RoHS Approved for toxic free. Car Truck Vehicle Mount Stand Suction Adjustable Holder for your Tablet 7"-10.1"
Fit to the device models:Acer Iconia Tab A1-850, Iconia Tab B1-810, Iconia Tab B1-820. Compatible with the battery part numbers:AP14F8K, AP14F8K (1ICP4/101/110), KT.0010M.003. 1x Film de protection d'écran Golebo Semi-Matt. Les films protecteurs d'écran de Golebo ont fait leur preuve dans la pratique - sur la totalité de l'écran avec niche au niveau du haut-parleur, microphones et caméra. Compatible with the battery part numbers:AP14F8K, AP14F8K (1ICP4/101/110), KT.0010M.003. Fit to the device models:Acer Iconia Tab A1-850, Iconia Tab B1-810, Iconia Tab B1-820. RoHS Approved for toxic free.